The Camel Trophy undoubtedly conjures attractive images of adventure and exploration using Land Rovers in the way they were built to be used, and these days I reckon there is still a market for these events. So what can you do? Make your own! This Youtube user did. Albeit in a slightly smaller scale, it's a very well made video and has done well to extract the finer points of what makes a Camel Trophy, by combining his own footage with voice overs from the TV coverage of the actual events. I can recommend watching it all the way through as it has some comical moments and grows in grandeur as you realise the effort and relative accuracy that has gone into making this. If I was to try and make my own Camel Trophy expedition, this would be a good template for combining the best bits into a single trip. Enjoy! We're trying to find out what makes our community of users tick. All rights reserved. 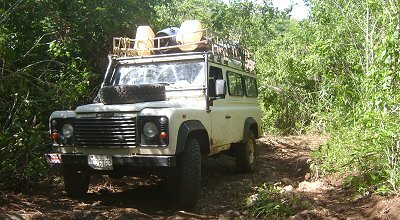 This website is not affiliated with Land Rover or Land Rover Adventure Travel.